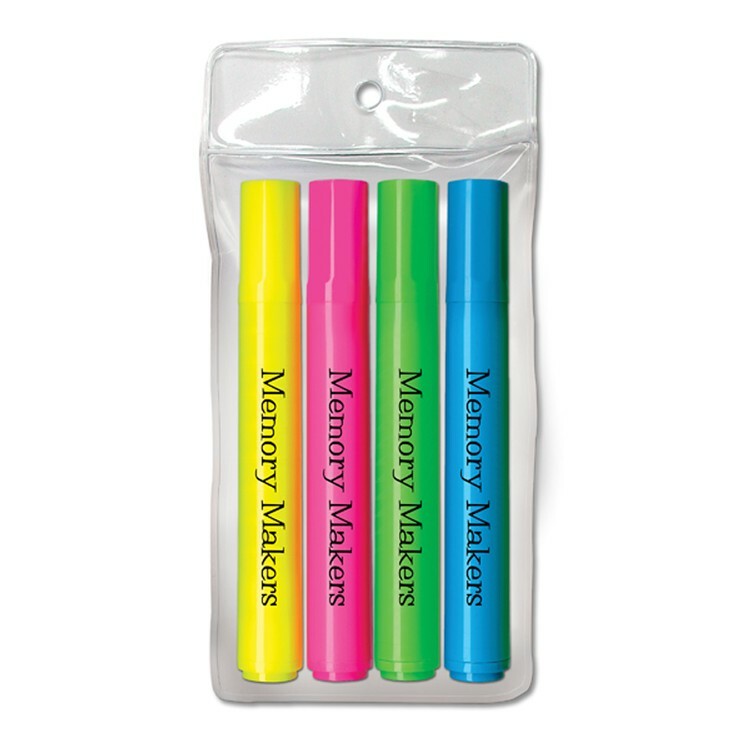 Four pack of chisel tip broadline highlighters in a plastic pouch. Bag 6 3/4" long. Product 5" long. Non- Toxic, USA Union Made and Union Printed. 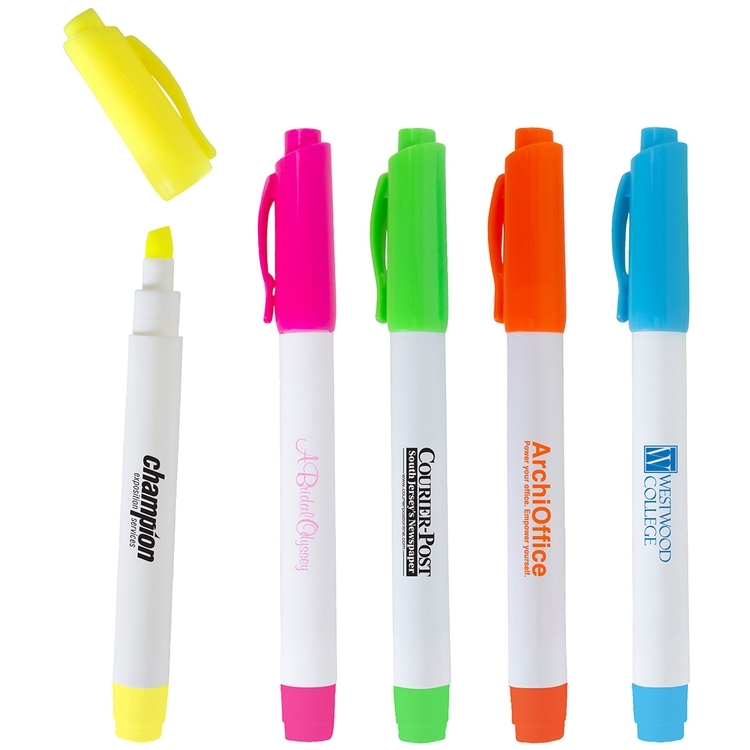 This uniquely shaped white barrel highlighter offers the convenience of five highlighters in one. The bright, fluorescent inks have transparent, read through color and are bold enough to highlight any document. 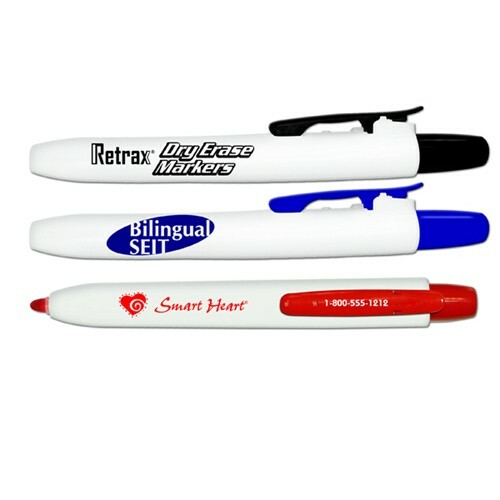 Imprint your company logo or up to four lines of text - your message won't be missed! Conforms to ASTM D-4236. Non-Toxic. Pricing includes a 1 color / 1 location imprint. Also available with up to 4 color / 2 location imprint. 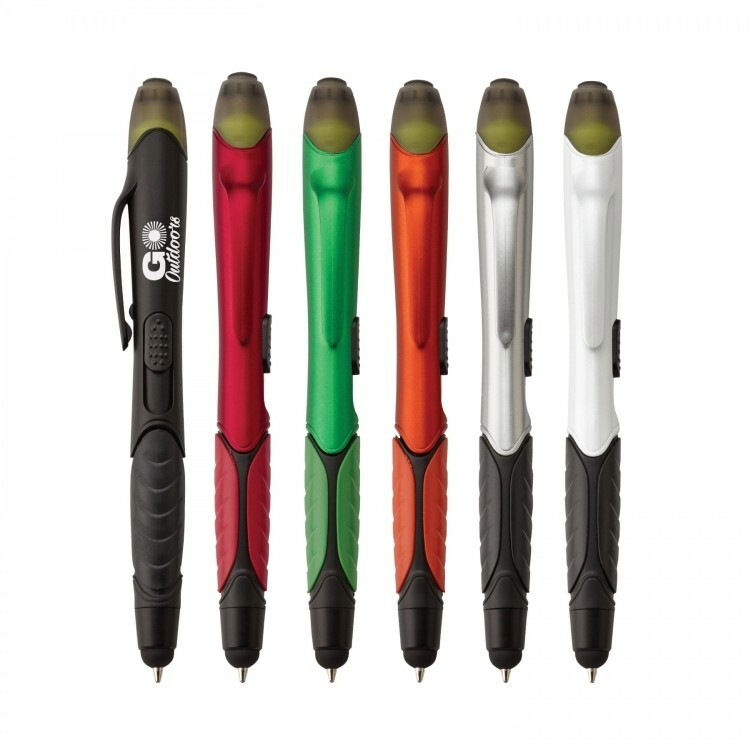 The Star Lighter offers the convenience of five highlighters in one. The bright, fluorescent inks have transparent, read through color and are bold enough to highlight any document. 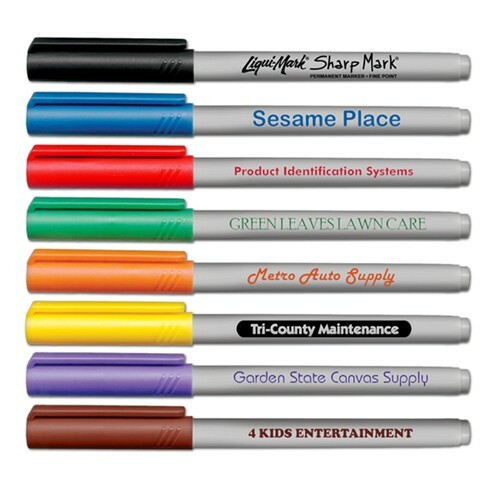 With it's huge imprint area, your company logo or message won't be missed! Conforms to ASTM D-4236. Non-Toxic. 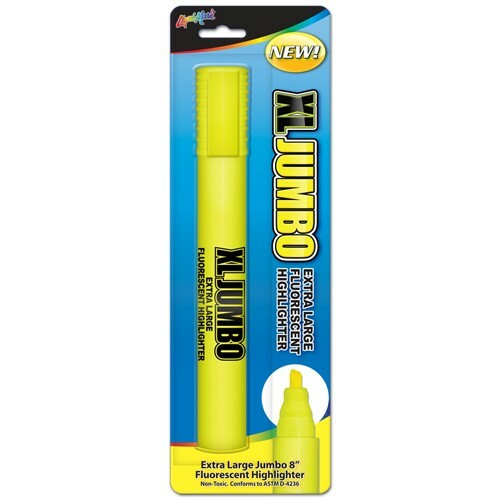 XL Jumbo 8" Extra Large Fluorescent Highlighter - Yellow. No Setup / No Custom Printing Available For This Item. Sold In Full Shipping Case Pack Quantities of 72 Packs Per Case. 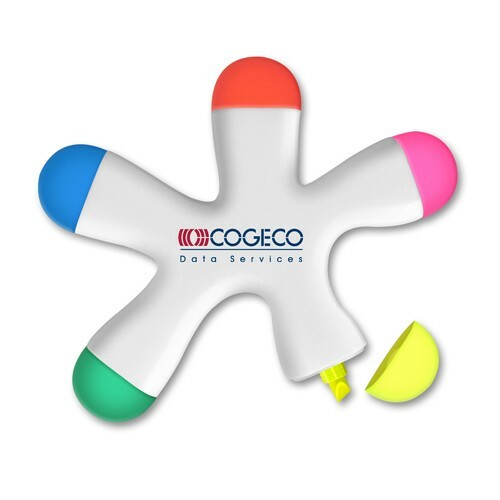 Retractable, fluorescent highlighter with push button feature that offers the convenience of one-handed highlighting. 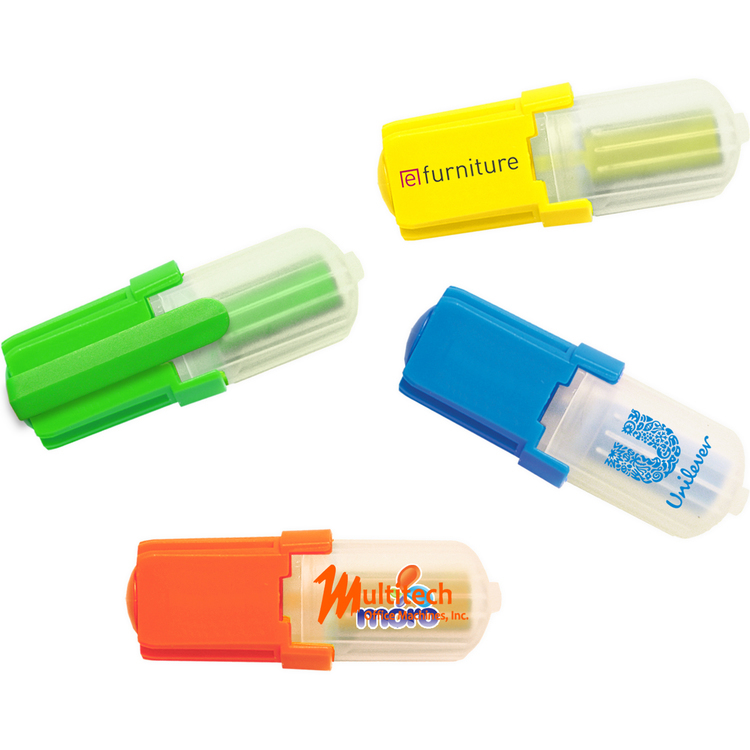 The retractable tip also protects shirt pockets, purses and brief bags. 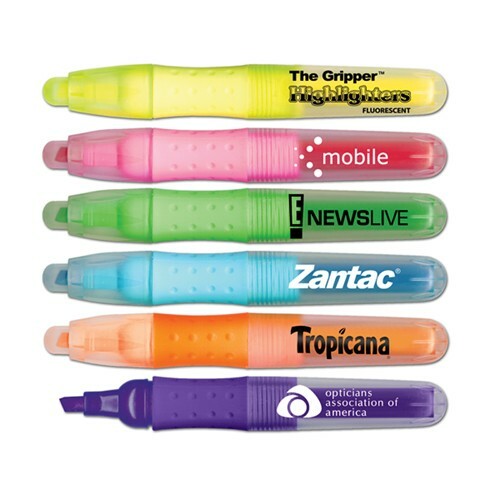 These vibrant and fluorescent ink highlighters have transparent, read through colors which are bold enough to enhance important text. 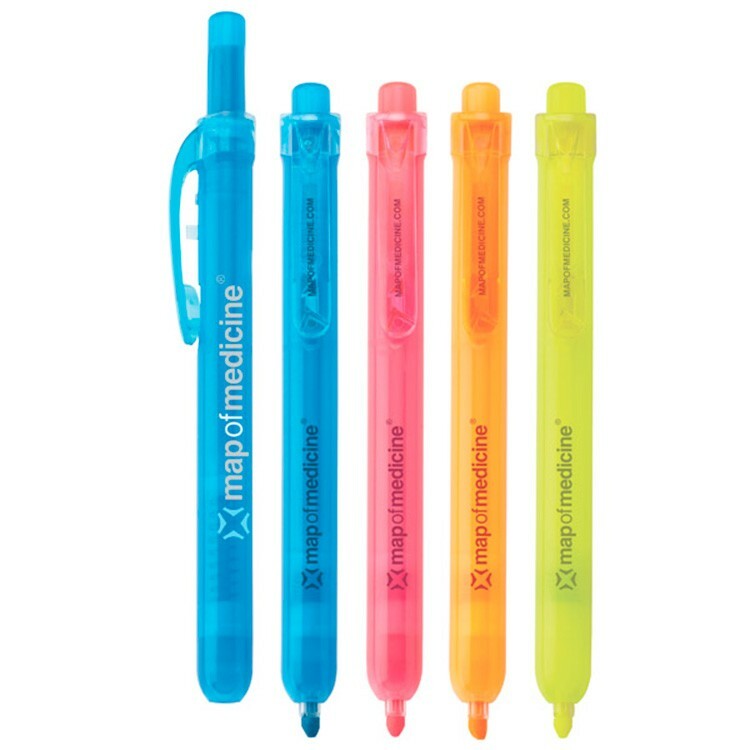 This state-of-the-art highlighter retracts like a pen! Black or white imprint color is recommended for this product. 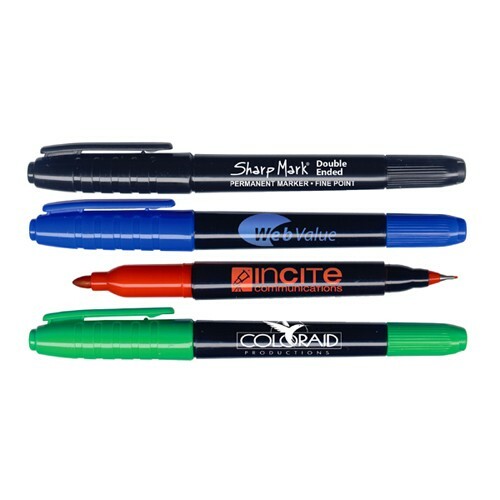 Our double ended permanent ink markers are versatile and will permanently mark most surfaces. 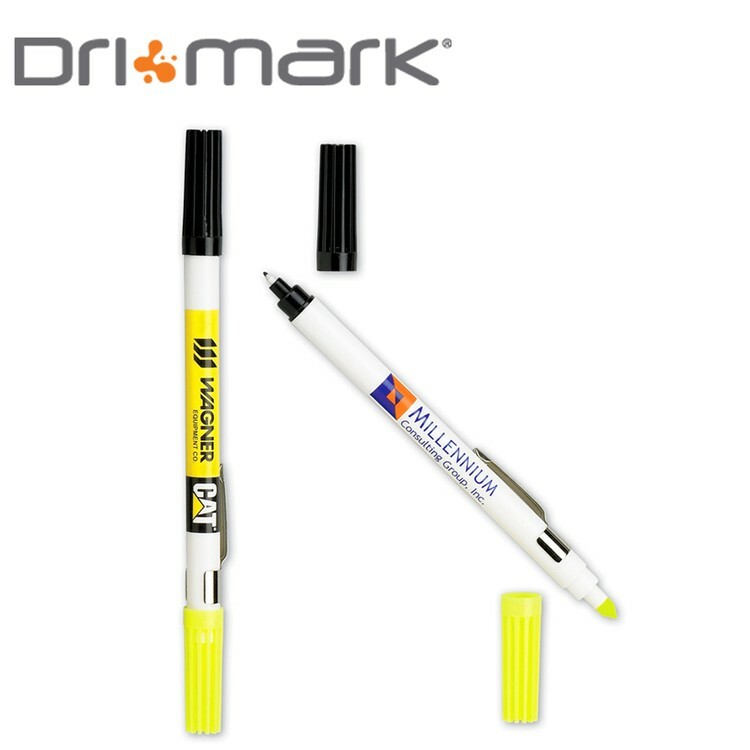 With the flexibility of writing a fine line, or for the most intricate detail, use the extra fine tip located at the other end. Non-Toxic. 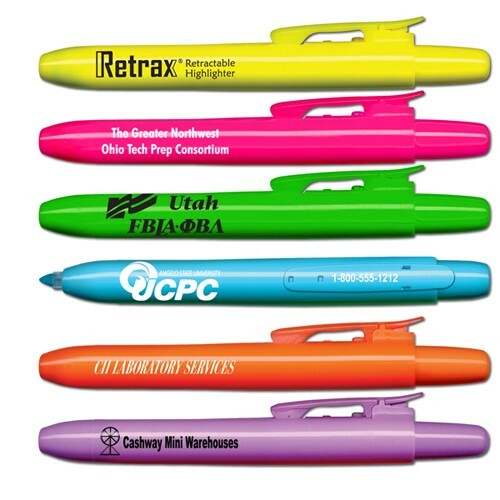 This comfortable to hold highlighter has bright, fluorescent inks with transparent, read through color and are bold enough to highlight important text. Non-Toxic. 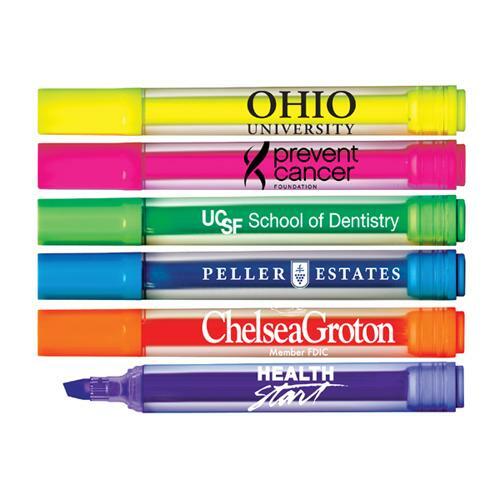 Brite Spots Clear barrel jumbo highlighter with fluorescent ink. Non-toxic. Made in USA by Union Shop. 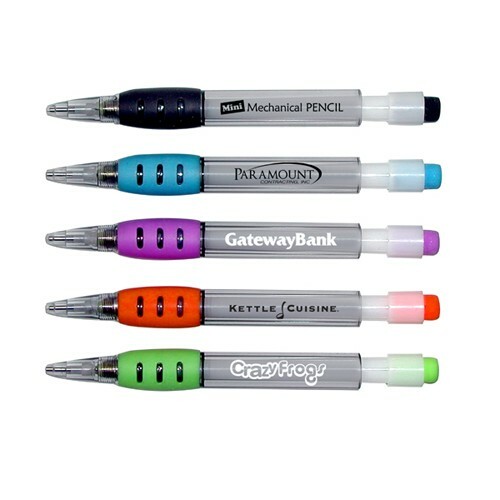 Yellow, pink, blue, orange, lavender and green ink with clear barrels. Caps match ink color. 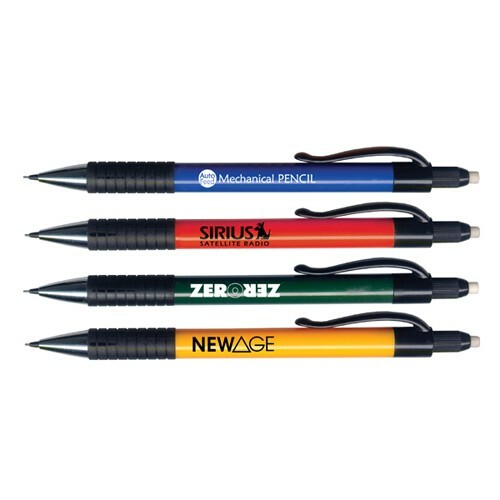 Choose from one color Direct Print (Item# 6000CL) or Full Color Decal (Item# 6000CL-FCD). Mini is the next BIG thing! 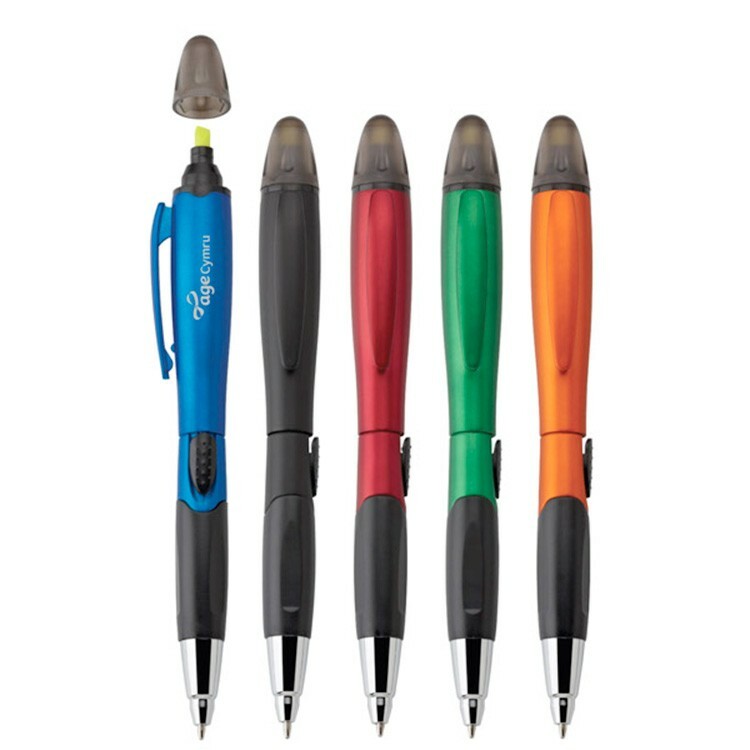 Cushioned, colored rubber grip provides extreme writing comfort and control. 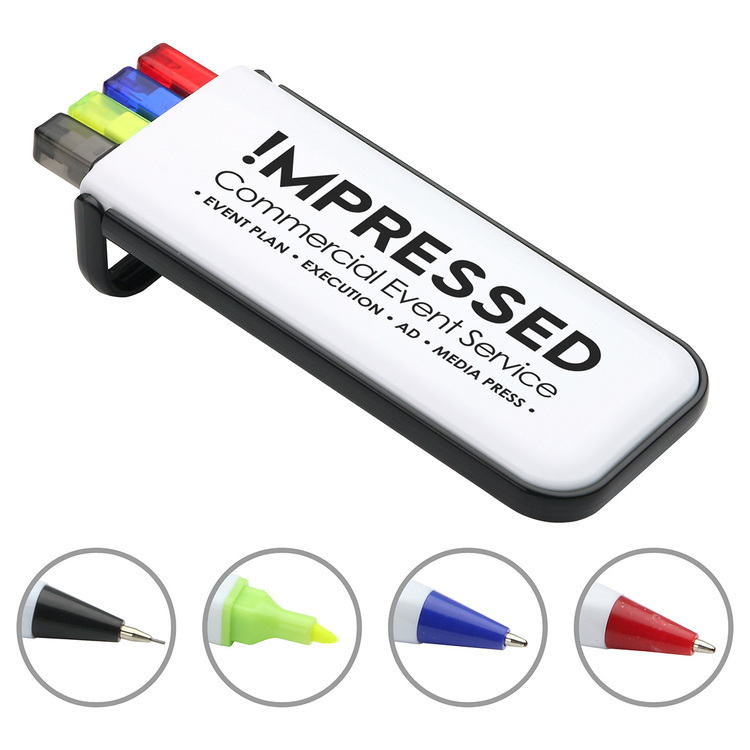 Contains two #2 HB (0.7mm) black leads with matching colored eraser. Refillable. Just twist to advance! 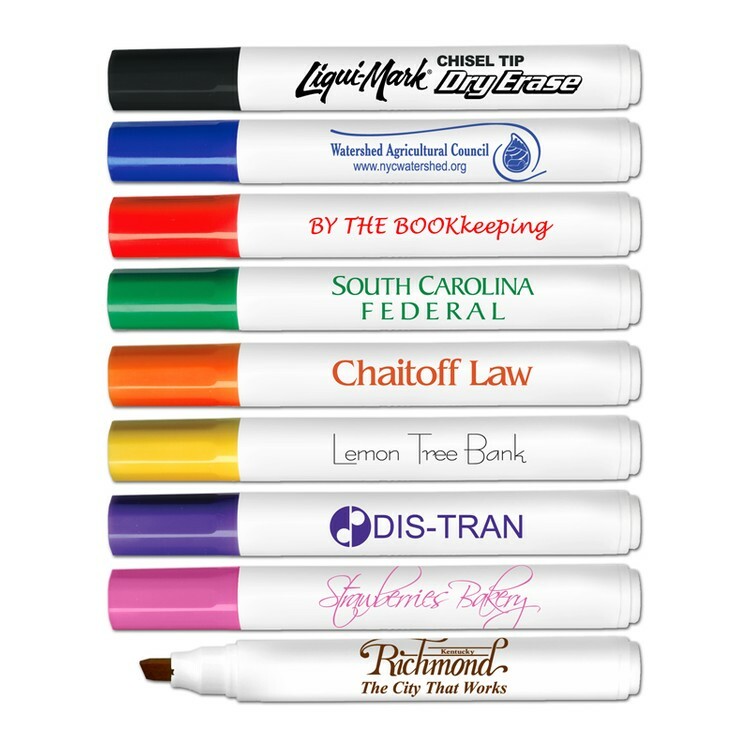 These bright, fluorescent, smear-proof gel inks have transparent, read through color that is bold enough to highlight important text without bleeding through paper! - even on rice paper! Gel inks are Non-Toxic and will not dry out! 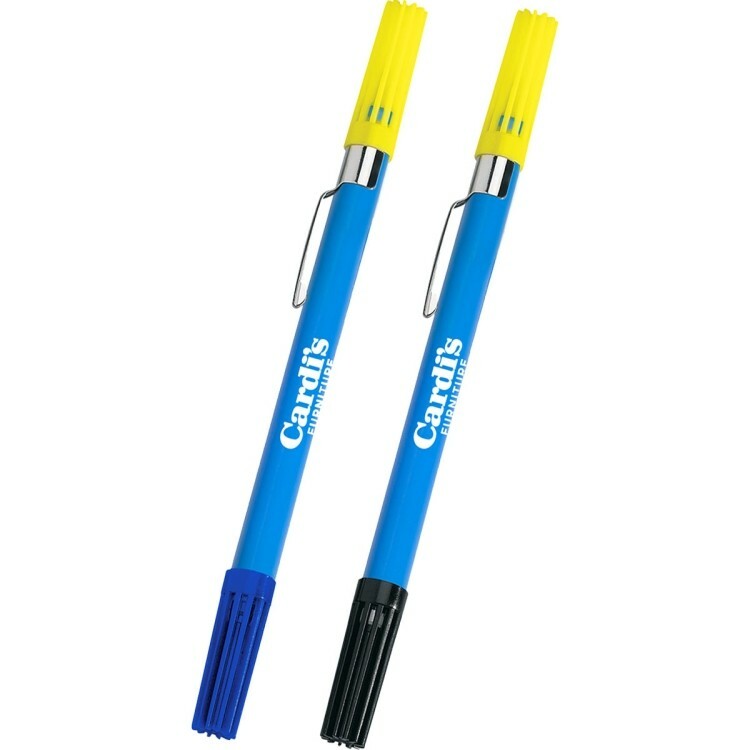 Pen highlighter and twist action pen combination. Medium point black refill. Individually polybagged. Mini is the next big thing! 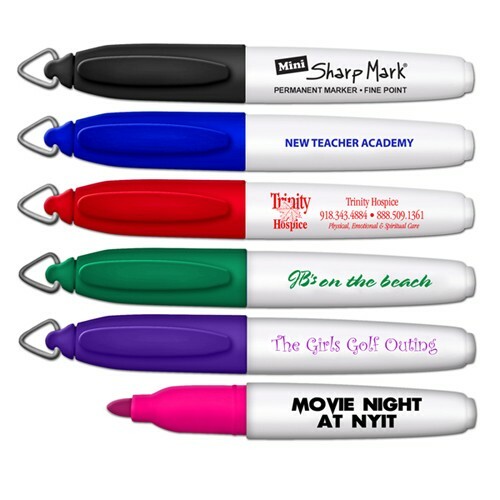 With it's durable ink and key ring cap The Mini Sharp Mark is great for use as a golf ball marker! Non-Toxic. 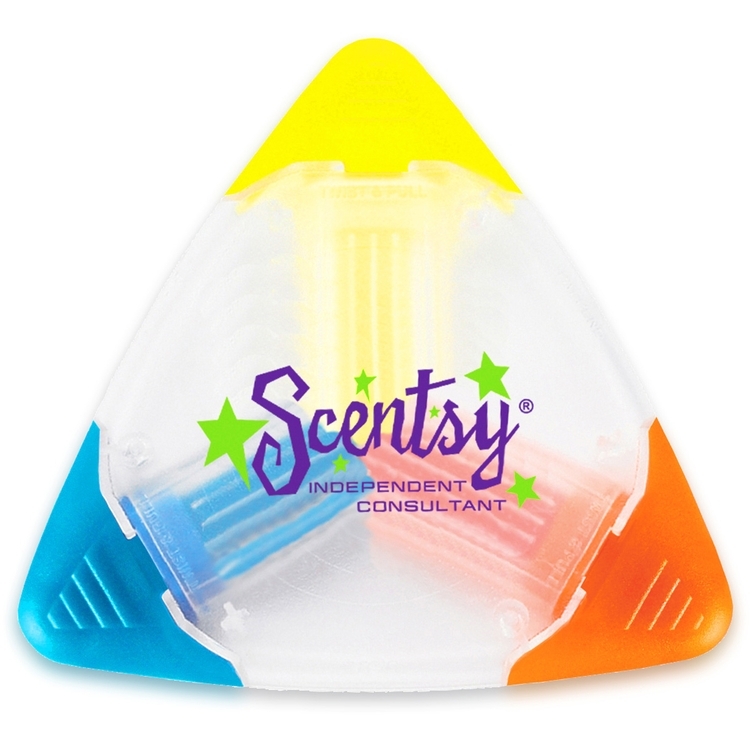 Three neon highlighters in one component! You create the color combination. 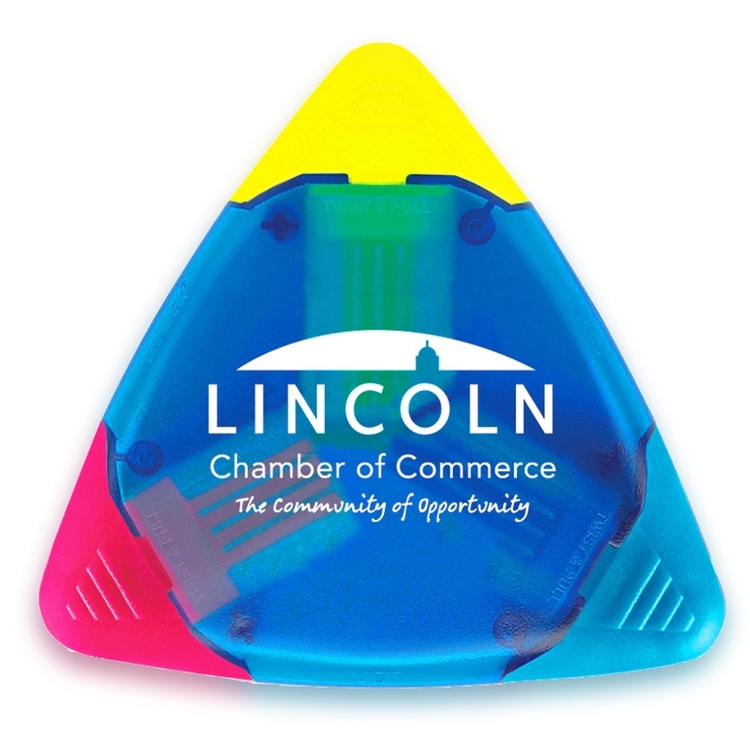 The possibilities are endless with this triangle shaped highlighter! Highlighter colors: Yellow, blue, pink, orange, green. NOTE: You cannot choose two of the same color. 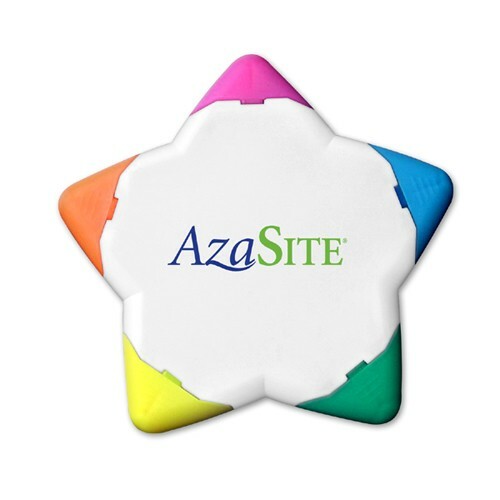 Our most popular mini highlighter. 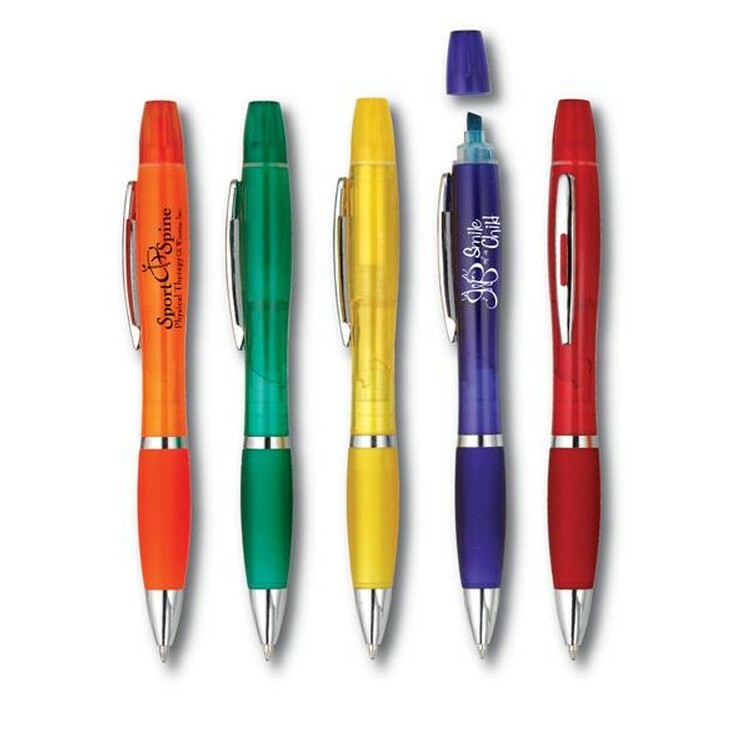 Great for pen cases, brief cases, or any small spot. Clip on one side, imprint area on the other. Cap colors match highlighter color. 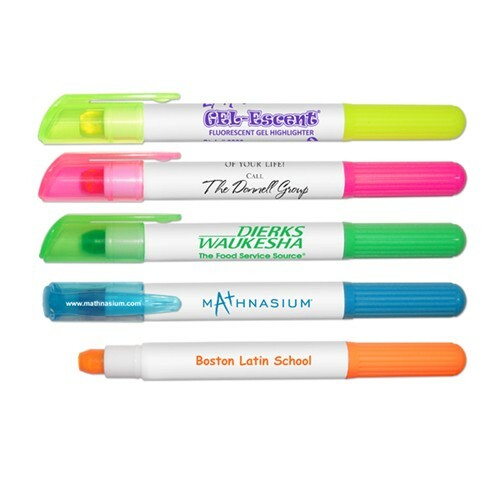 White barrel with clip cap that matches the bright neon highlighters. Smooth chisel tips that won't bleed through paper. Your best bet for everyday highlighting needs. Highlighter Colors: Yellow, Pink, Blue, Green, Orange. 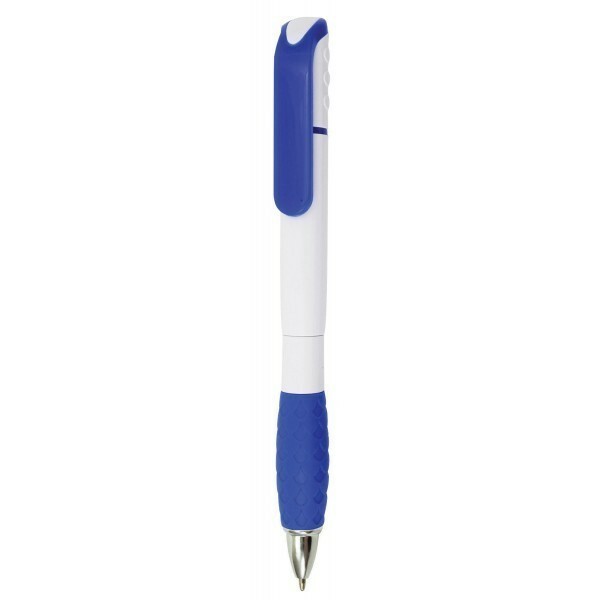 Dual use pen and highlighter combo with a choice of black or blue ink. Cap color matches the ink color. Highlighter color is yellow. 3 colors maximum imprintArtwork shown is for presentation purposes only. Client must provide their own artwork. Why use two writing instruments when one will do? 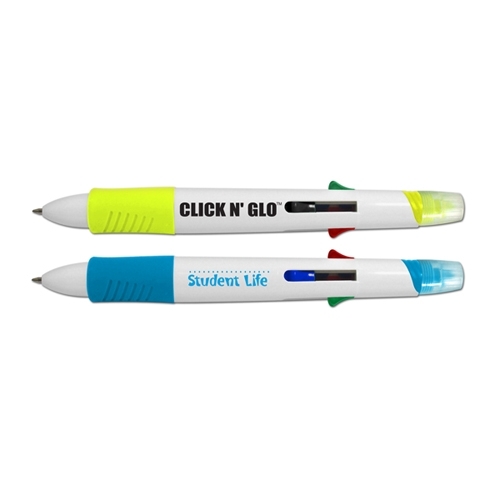 The "Click 'N Glo" dual function pen is a unique writing instrument that combines a 4 color (black, blue, red and green) retractable ball point pen at one end with a fluorescent cap off highlighter on the other end. Non-Toxic, non-smearing, dries quickly. The August is exactly what a Spector & Co. Original should be: unique, fun, durable, and multi-functional. 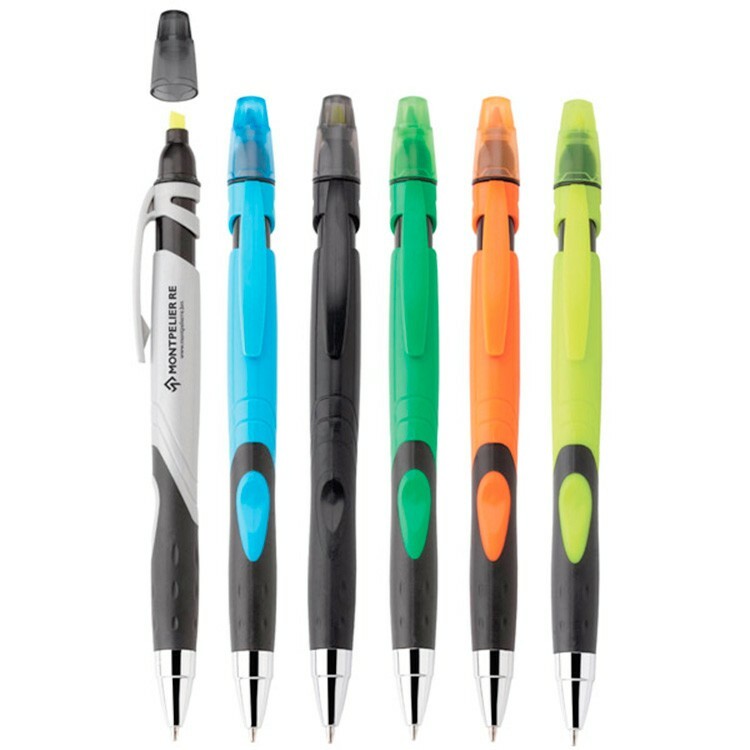 This 3-in-1 plastic ballpoint, stylus and highlighter with cheerful colors is versatile enough to follow you through all of your everyday tasks. 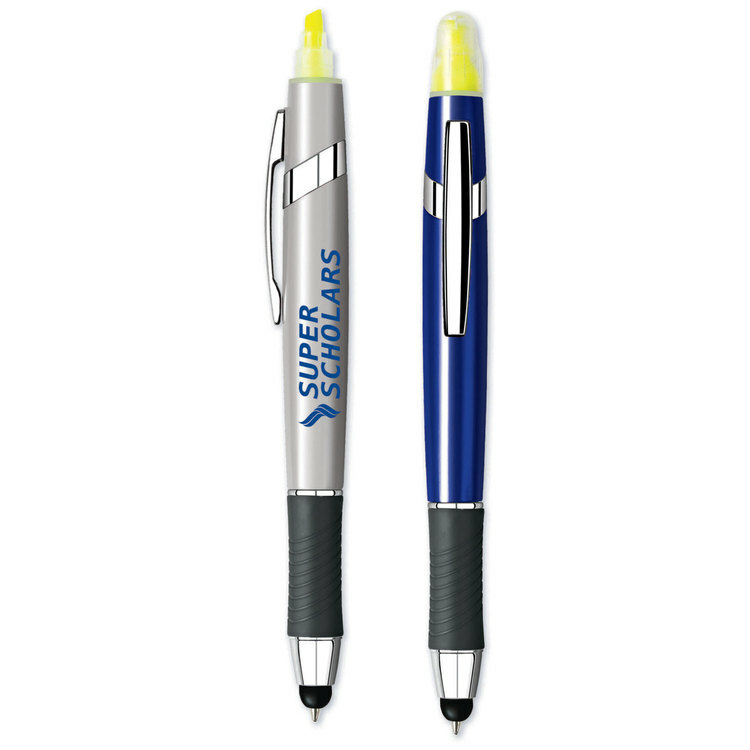 Push the slide action button to use the pen and then pop off the frosted cap to highlight your text in yellow ink. Going paperless? No problem, tap away at your leisure using the rubber stylus.